Big Blue will reveal new cognitive and workflow tools at the conference. 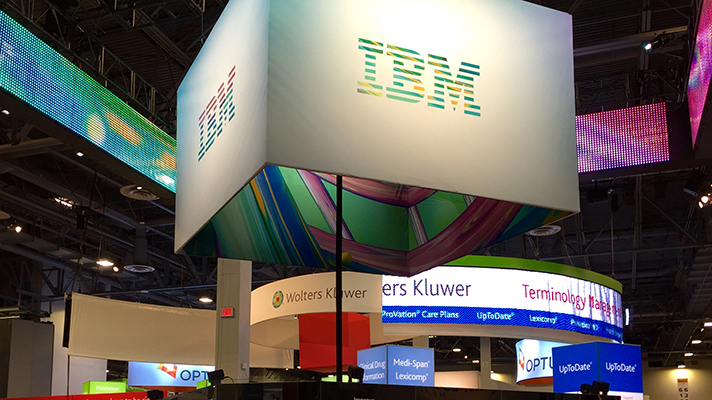 IBM’s Merge Healthcare medical imaging company plans to unveil IBM Watson Imaging Clinical Review as well as highlight recent advancements in Merge Healthcare’s iConnect Suite and introduce Code Name: Gaborone at HIMSS17. IBM Watson Imaging Clinical Review is a cognitive "peer-review" tool designed to enable reconciliation of discrepancies between a patient’s clinical diagnosis and administrative records, ultimately providing a more accurate patient record. Essentially, it reads structured and unstructured data, understands the data and extracts clinically meaningful information, and compares the clinical data with the EMR problem list and medical coding to empower users with accurate information. Merge also plans to show a second cognitive product, Code Name: Gaborone, which provides a summarization of relevant patient data to assist in clinical decision making processes. Watson will extract this information from a number of sources including the EMR as well as structured and unstructured sources such as prior clinical reports for the patient. Big Blue also said Merge will show the new iConnect Enterprise Workflow, which is a vendor neutral platform that aggregates studies from multiple image/PACS sources into a single worklist. The iConnect Enterprise Workflow platform enables radiology groups to automatically assign orders to specific readers, launch and control multiple radiologists’ applications, and collect business intelligence across the organization. “IBM Watson Imaging Clinical Review and Code Name: Gaborone provide insights to improve patient care by presenting relevant data and detecting discrepancies between the clinical findings and the patient's medical record,” according to Merge chief research and development officer Antonia Wells. Additionally, both these cognitive products will provide insights to deliver the best course of action for the patient. Data discrepancies between, for example, a cardiologist's report that indicates Aortic Stenosis and a patient's EMR (where that doctor's diagnosis was somehow not recorded or captured) might mean the patient may not receive instructions for further testing or treatment, Wells added. Merge's iConnect Suite completes the patient record by dismantling silos of data and shedding light on the 'shadow EMR,' enabling clinicians to make more informed decisions based on a more complete view of the patient record. “Secure sharing of patient content speeds the flow of patient information not only across a community of care, but also directly with the patient empowering the patient as an active member of the care team,” said Wells. From a delivery standpoint, much of the 'back-end' technology is based on current Merge solutions and the cognitive solutions will be a key component of the Merge 'front-end' clinical workflow solutions. In addition, iConnect Access, Capture and Enterprise Archive are integrated together via web services while also being offered as standalone products leveraging current standards. “Both the Watson-based cognitive products and iConnect Suite are core to Merge's strategy to improve patient care by providing a comprehensive view of the patient record while reducing both infrastructure costs and compliance risk. Specifically, Merge’s growing iConnect platforms serve as the basis for Enterprise image management that will be increasingly cloud and cognitive – enabled,” said Wells. Merge's iConnect Suite can assist providers in managing compliance risk and reducing infrastructure costs. Often unstructured data containing PHI exists in unsecured data silos within services lines, on file systems, local workstations or even personal mobile devices. iConnect Capture, for example, provides a simplified on ramp to the Merge VNA for secure storage, management and distribution of patient content with integration to the EHR on any device. Merge’s iConnect Suite supports the information sharing requirements outlined by MACRA, is a key enabler for organizations seeking HIMSS Stage 7, and provides a secure platform for patient content, increasing cybersecurity and data privacy. “Not to mention, it helps organizations remain competitive under ongoing reimbursement and accountability pressure, enables organizations to more effectively manage images, and provides platforms for leveraging cognitive insight solutions, such as the IBM Watson Imaging Clinical Review and Code Name: Gaborone,” said Wells. Wells anticipates general availability of IBM Watson Imaging Clinical Review in Q1 2017. The initial release is not awaiting any required government approval. Subsequent releases later this year will require FDA clearance. Code Name: Gaborone is planned to launch later in 2017 and will require government approvals.